DataBuddy App :- Hello there. Welcome to BigTricks. Hope you guys are having fun with all the loots and deals on our site. Here’s one more. 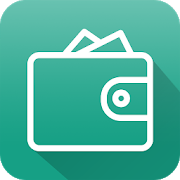 This is a refer and earn app. It’s offering Rs. 12 per refer. You can earn upto Rs. 212.You can redeem it all in Paytm. Cool, right? There are other offers in the app too to earn Paytm. Grant it permissions(if it asks) and signup with your mobile number. You’ll get Rs. 10 as Signup in your account. Now, Go to Menu>>Invite and Earn. Here you’ll get your refer code. Share it with your friends and family. You’ll get Rs. 12 as soon as they signup on the app. You can redeem when you have Rs. 50 in your wallet. To Redeem, Go to Menu>>Wallet. Enter your Paytm number and amount that you would like to redeem. Done. You’ll get your money in your Paytm wallet soon. I make ₹100 and redeemed about 20days but didn’t get in my paytm. Same i have redeemed 100 but didn’t get the amount in paytm.. Its more than 20 days. When u got your money ? 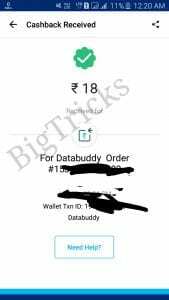 what is the minimum redemption limit for databuddy app?